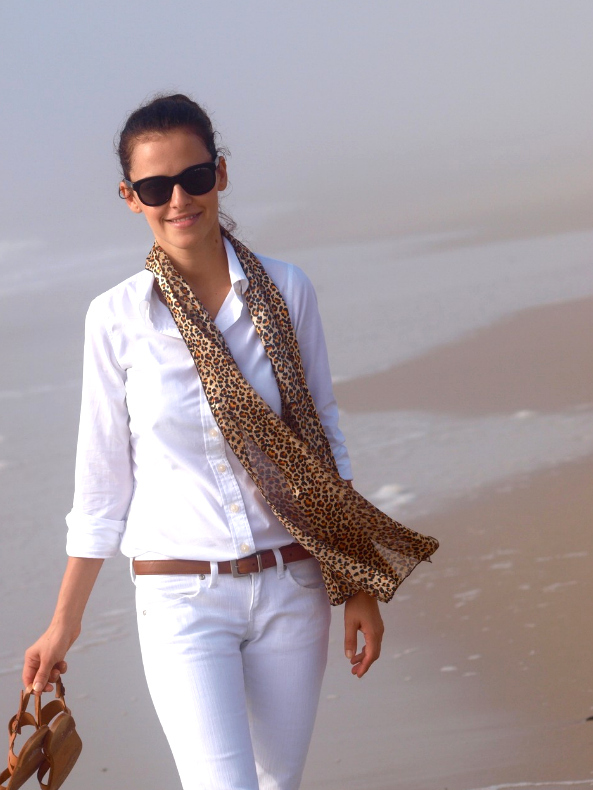 And the vacation goes on ,day 3 :) The minute I saw this scarf in my mind was to wear it with a white outfit + beach location = this is the result! The scarf is wonderful! Beautiful gift indeed! really timeless!!!! inspirational and SUCH A STYLE! the best thing about something that is perfect it’s simplicity! and what amazing figure you have!! i’m blown away!! Thank you very much dear Viv!!!!!!!!!!!!!!! you are so supportive !!!! hugs my dear!!! Superba tinuta!Imi place foarte mult!Iar tu esti o frumoasa! Lovely gift!!! I really like how you put your oufit together!!!!! I love how you pulled off white on white – I do not have that kind of grace! Beautiful photos, you are so sweet. Thank you very much for all the sweet comments lovely ladies!!!!!!! lovely scarf! love it with the whites! and the pictures are so beautiful! Aw thank you! it’s okay haha, I know phones can be tricky, I really appreciate your comment too! love the scarf! it really looks fantastic with the all white outfit, you’re gorgeous as always sweetie! 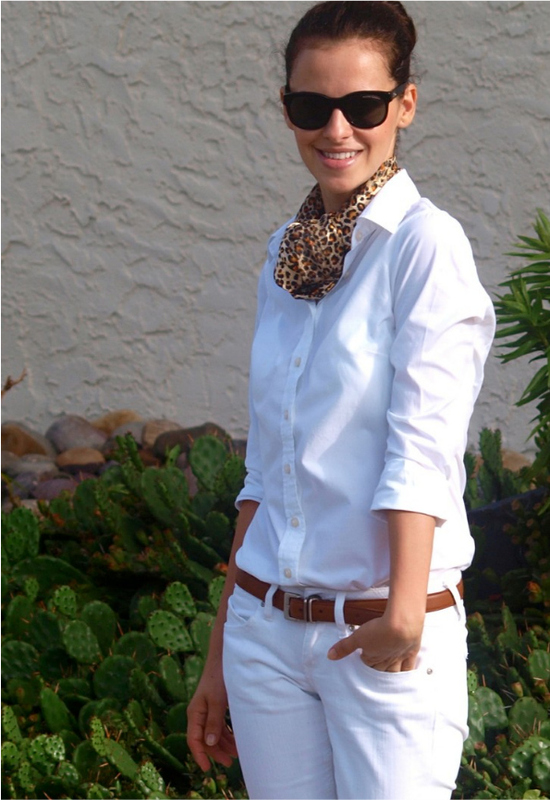 all white with a leopard scarf is really chic! It really is a gorgeous scarf! Loving this great and simple outfit! Nice blog. lovely sweetie! 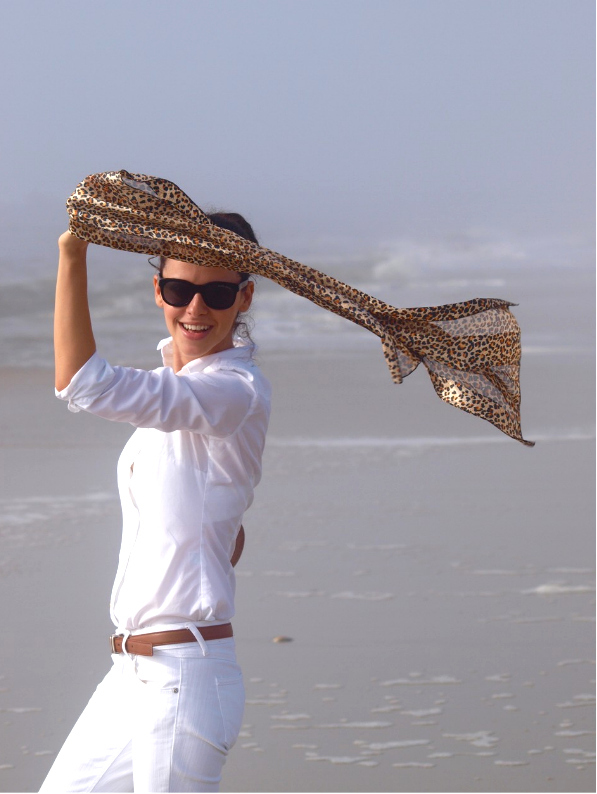 i remembered that you said how you didnt like leopard pattern earlier and you started to share love with it ;) hehe, gorgeous scarf! lovely outfit, all in white with one perfect detail! Nice piece of work, the pictures style and arrange in very good manner, I loved the way it is captured.These pictures represent the designer sunglasses. I like your sharing style.